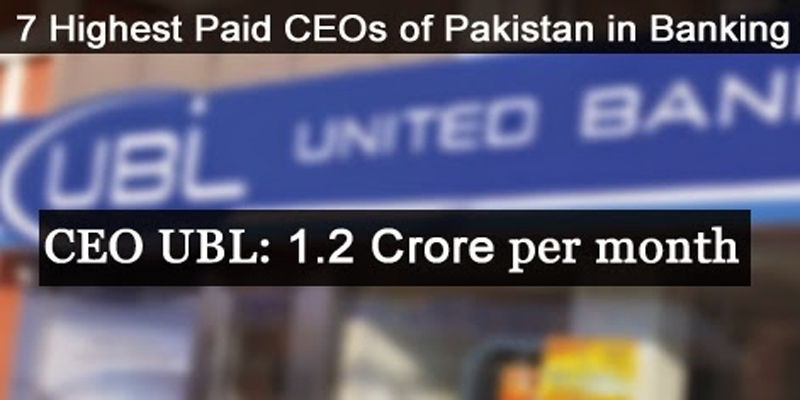 This might blow your mind but there is a reason why chief executives in banking industry of Pakistan are getting huge salaries with perks that even more attractive. A country like Pakistan where a common employee earns less than Rs. 50K per month, such insane figures can be considered a dreamy thing, but in reality its as true as moon's existence. There are many CEOs of local Pakistani banks that are getting glittering checks. Even their single day's salary is higher than an average employee's monthly salary. These stats are from annual reports of these firms. Since last year's annual reports of these companies shared detail data about remuneration of executives, so these figure belong to previous year. Most of these firms increase incentives of their CEOs from 30% to 200% annually (some banks even decrease remuneration), so you can get an idea what their salaries can be this year. A question arises that why chief executives are paid such huge amount of money? Well, they are the people who set visions, missions and device strategies that give oxygen to organization. So if they are not paid satisfactory amounts with lavishing perks, they might don't put best of their efforts for the success of their company.